The luxurious yacht named “Guilty” belongs to the collection of the businessman and contemporary art collector, Dakis Joannou. The 35m yacht was first launched in 2008 and until now it attracts great interest because of its unique design. 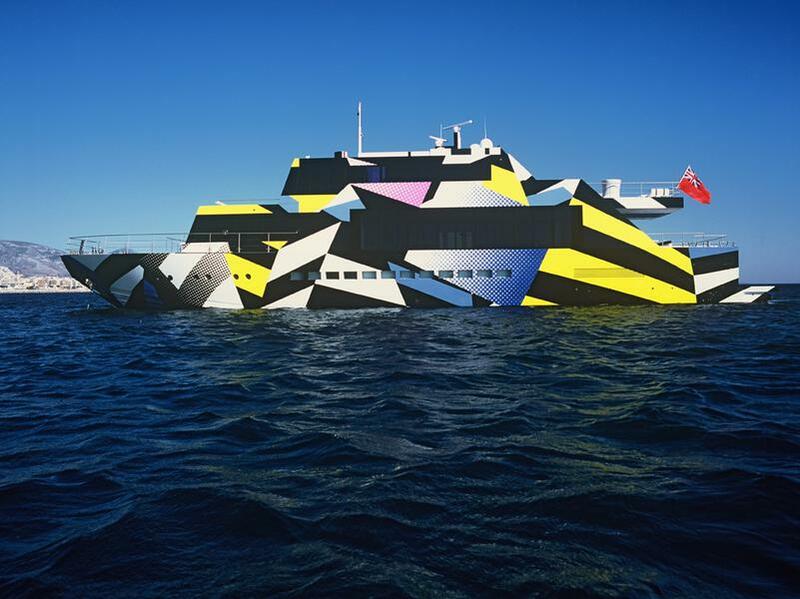 It’s a floating piece of art designed by the American artist Jeff Koons in collaboration with the yacht designer Ivana Porfiri. The boat’s exterior is inspired by the camouflage used by the British Navy in World War I. On the top, the art piece is completed with a large image of Iggy Pop who is illustrated as a “Contemporary Dionysus” while the interior of the vessel is decorated with some pieces of Mr Joannou’s collection. For the Greek-Cypriot businessman what matters most about the yacht is that it provokes reactions, fact that coincides with the identity of the artist who divides critics. “ART OF THE OCEAN” An exclusive peek inside a maritime masterpiece.